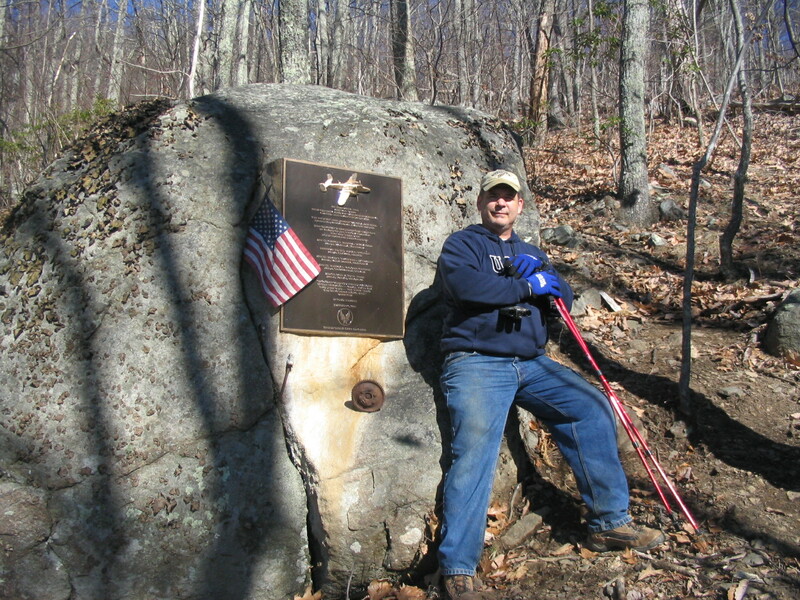 The B-25 crossed over the town of Bedford (home of the D-Day Memorial - worth visiting!) 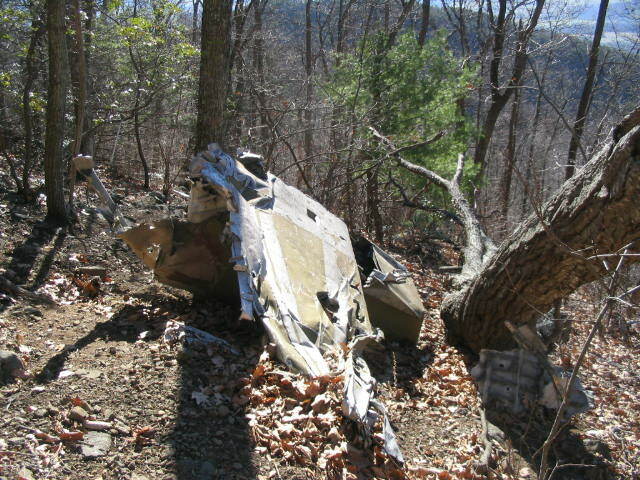 on a night-time training mission and crashed into Sharp Top Mountain. 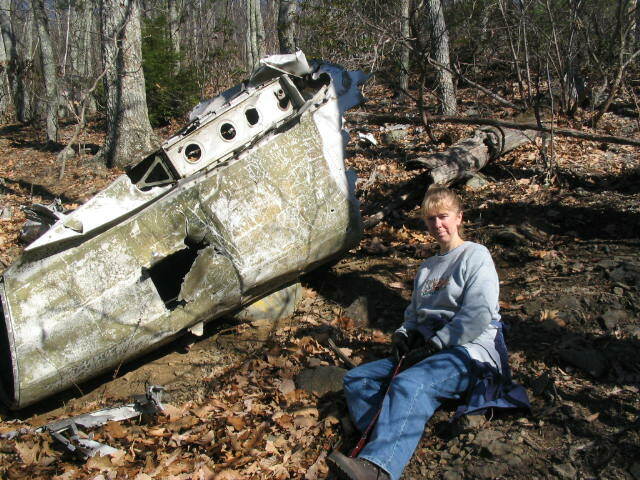 The crash site is quite a hike but worth it. A rather somber place but beautiful at the same time. 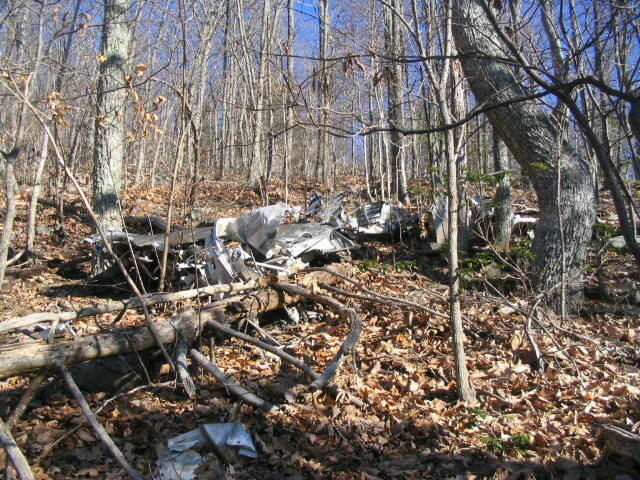 I highly recommend you visit: www.wp21.com/b25crash for a great web site dedicated to the crew who lost their lives in the crash. 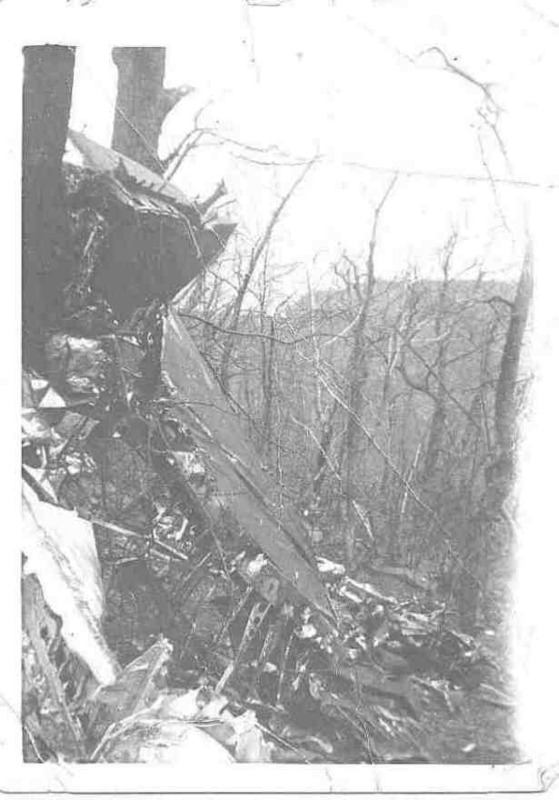 Lots of first hand accounts, offical crash reports, etc. Great web site!!! 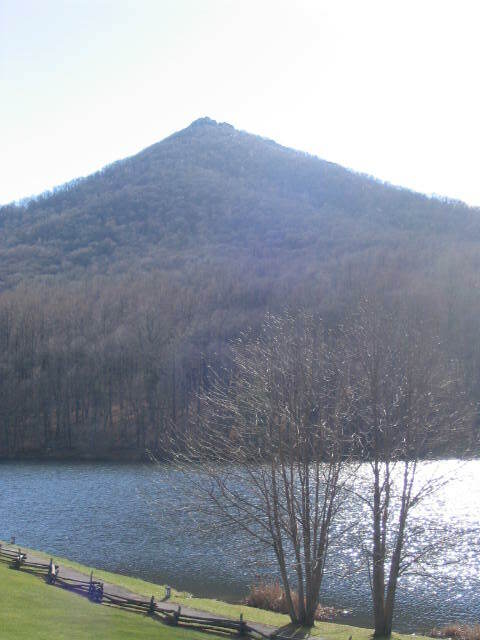 This is Sharp Top Mountain; picture taken from the Peaks of Otter Lodge. 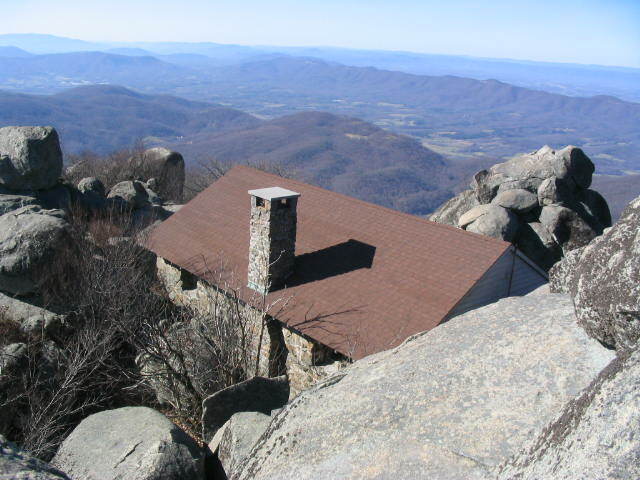 This is the view from the observation deck onto of Sharp Top...well worth the hike! 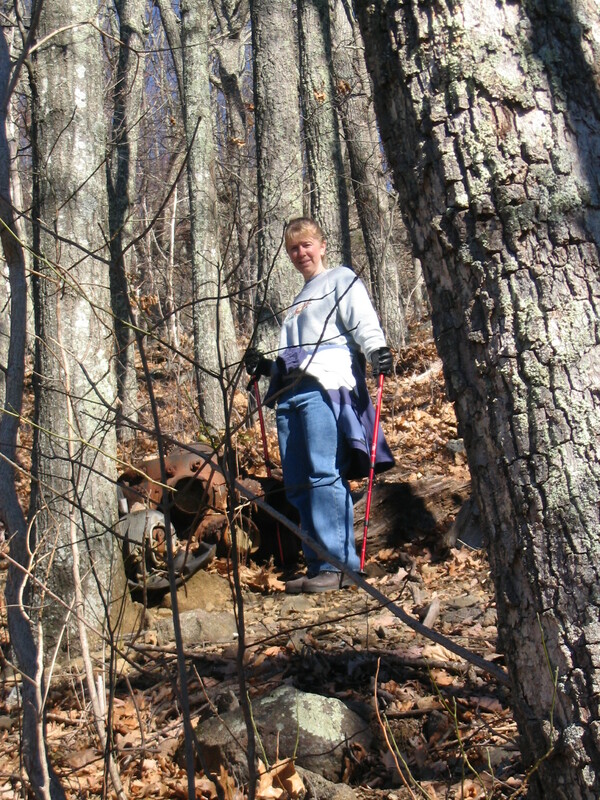 Cathy standing by the remains of one of the engines. 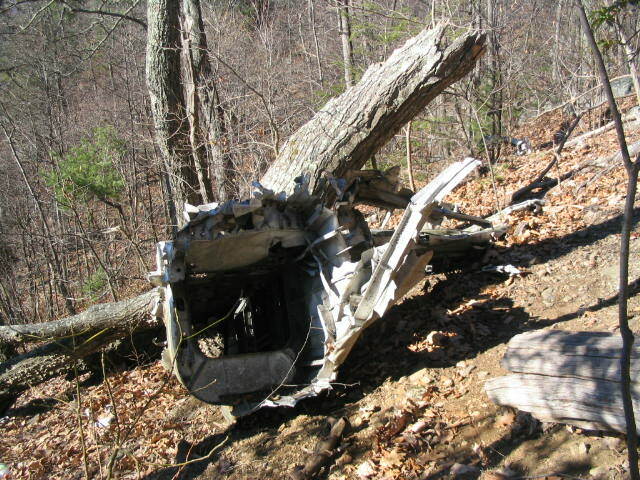 The other engine is nearly 500 feet further down the mountain. 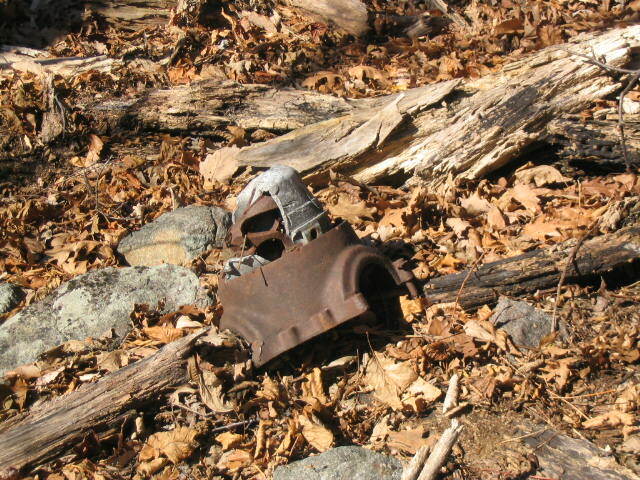 This is what remains of the right wing. This shows the intense heat of the crash. 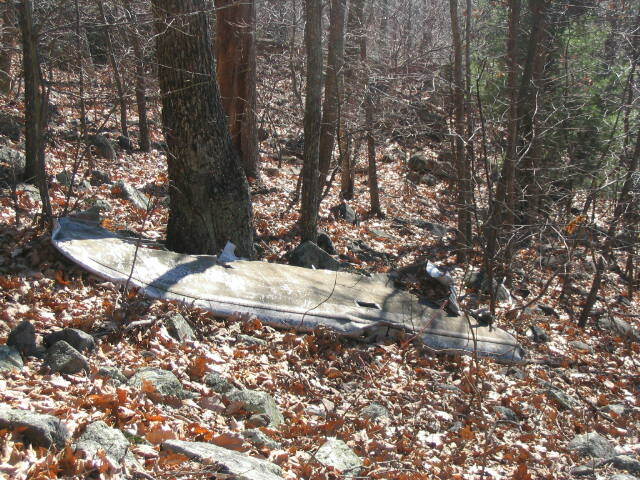 Parts of the plane are all over an area about 500' x 600'. 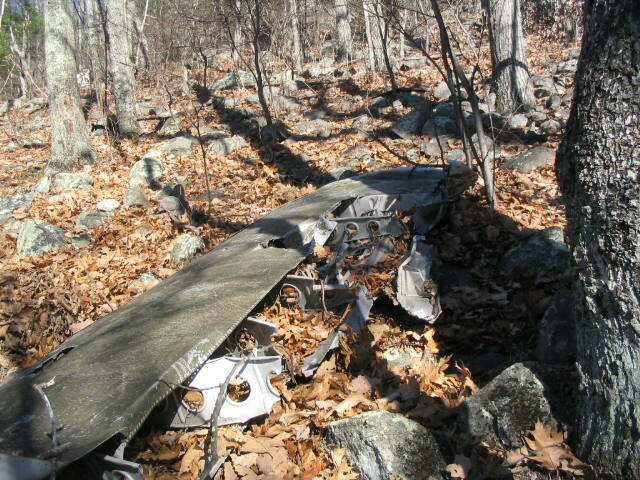 Here is the tail section looking down the mountain. Looking down the aircraft into the tail. Another view of the tail section with a pissed-off Cathy after sliding down the hill on her tushie!! 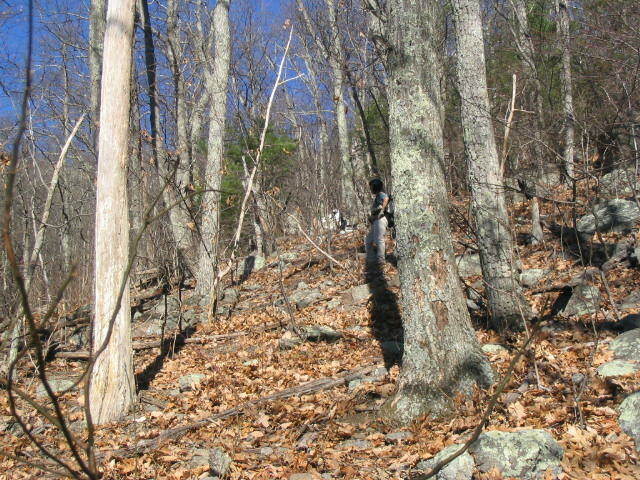 The general area has a slope of about 40-degrees but some areas are steeper. 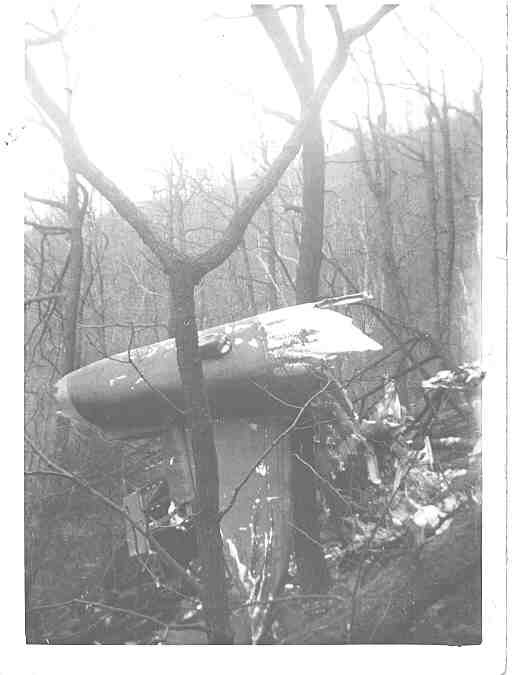 These tail section picture taken the day after the crash. 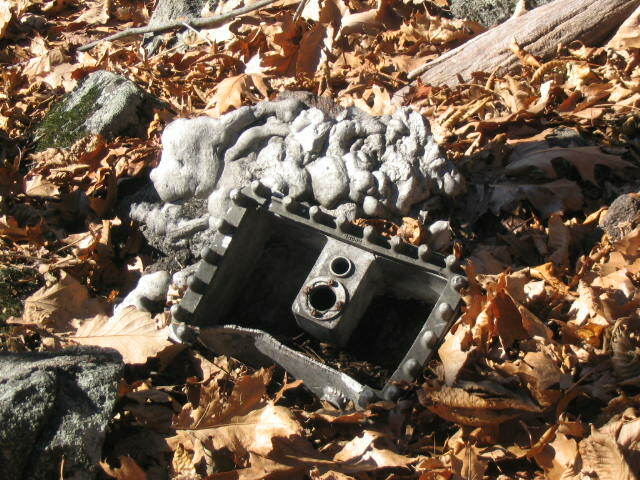 It has fallen over on its side. 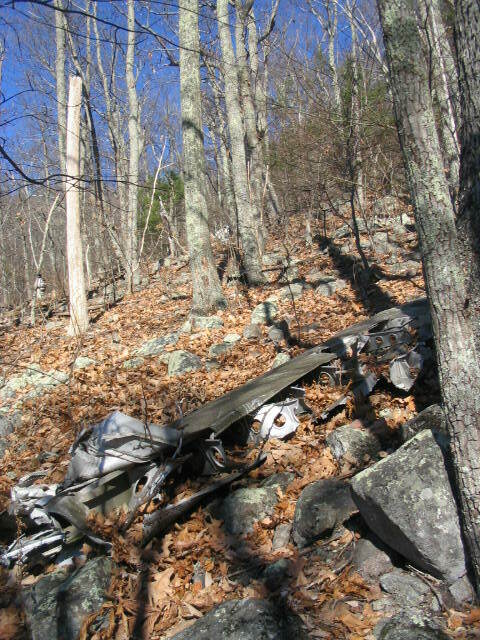 Trees and rocks have prevented a lot of the wreckage from sliding further down the mountain. 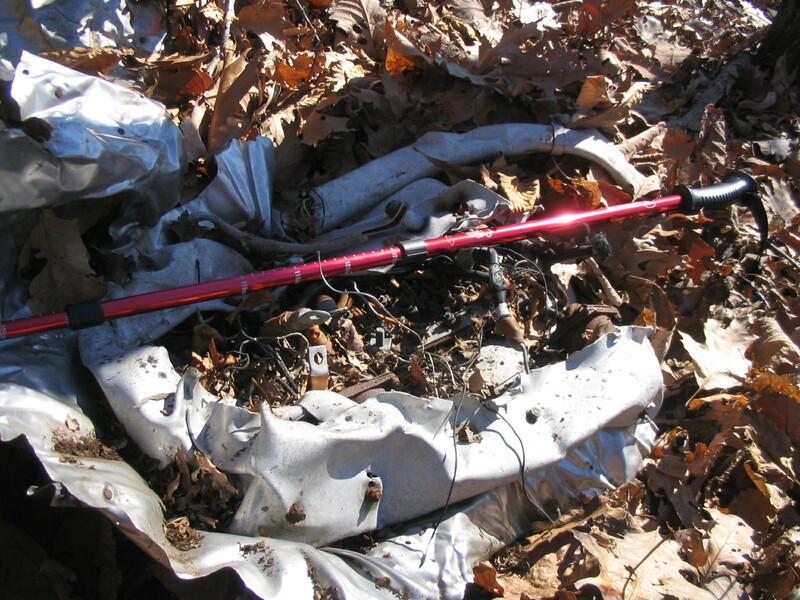 This is the only landing gear that I found although other people have found a strut as well as a wheel assembly. Here is the cover which mounts over the propeller assembly...I think! 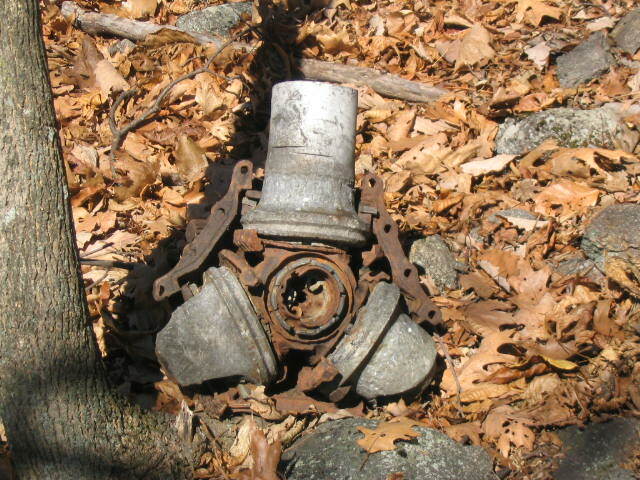 I think this is the mounting hub for the propellers. 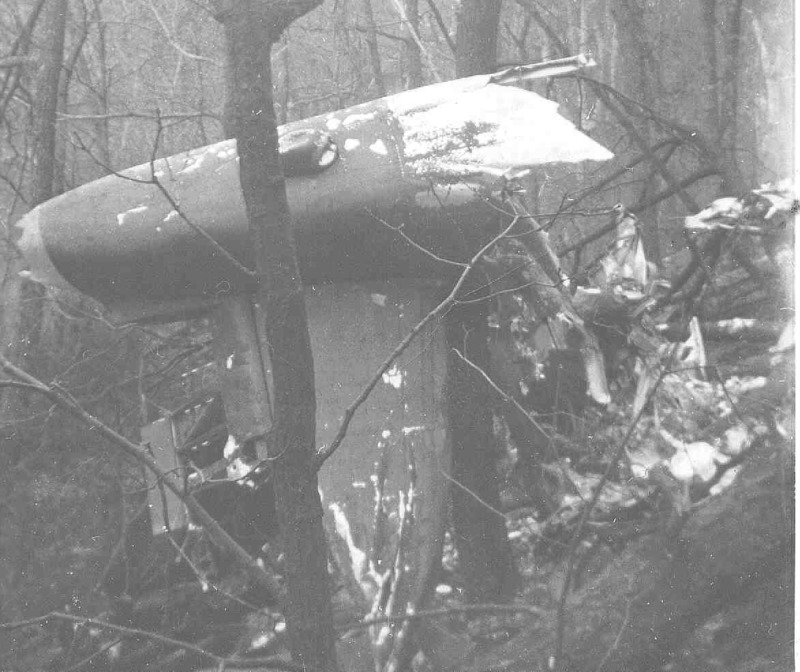 A wing section the day after the crash. All of the markings are now gone, no serial numbers, stars - all gone. 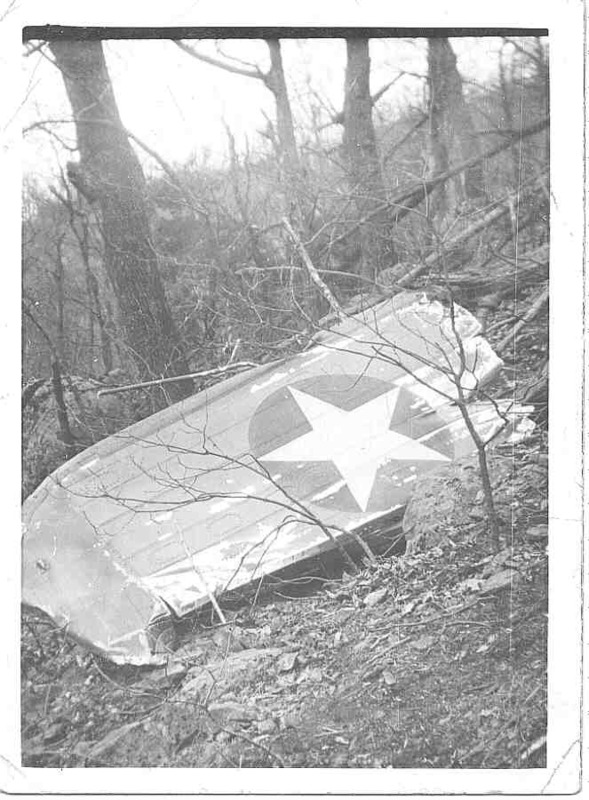 The memorial errected at the crash site.